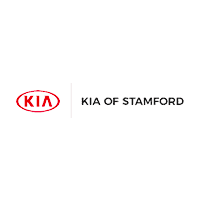 Join the Kia of Stamford Team Today! Are you an automotive enthusiast who wants to work with others who share your passion? If so, you’ll be pleased to hear that Kia of Stamford is currently hiring in all areas, including parts, service, sales, operations and more Kia of Stamford is more than just a new and used car dealership. We’re a local business that places a large emphasis on community, customer service, and high-quality automobiles. This is your chance to get behind the scenes of the Stamford area’s Kia dealership and learn how we operate to best serve our client’s needs. You’ll be challenged every day in the most rewarding way possible to do more for our customers, which means that you can count on a higher level of job satisfaction when you join our team. And here at Kia of Stamford, we’re more than just a team. We’re a family of professionals who care deeply about our jobs and serving the community. Whether you’re interested in matching a customer’s car with the right parts, getting to work under the hood, or finding the right car for the right driver, we’re looking for passionate individuals who want to take our dealership to the next level. If you’re interested in joining our team, be sure to stop by Kia of Stamford to apply. We hope to see you in the near future, and we look forward to seeing our team grow to include talented individuals like yourself!